All swatches have a base coat, two coats of color, without top coat. Every first picture is taken in natural lightning and the second ones under artificial lightning. 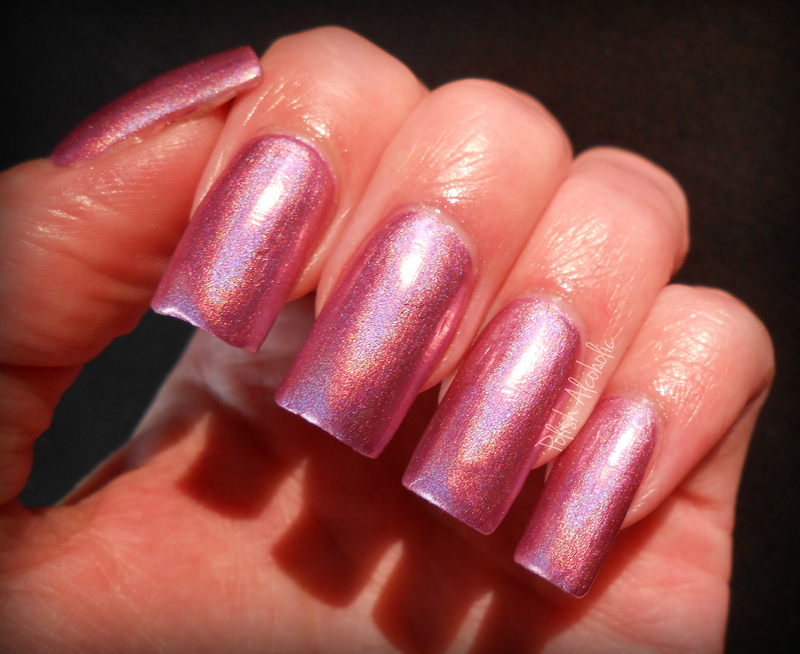 Astro-Hot, a light pink holo with lavender undertones. Not that unique, but very pretty. When Stars Collide, a deep purple-maroon holo. I picked this one because I didn’t have a holo like this in my stash. Love this! Did you pick up any shades of this collection? Which one(s)? And I’d like to know which rigdefiller you prefer. I’m thinking of buying one (especially for the holo’s and metallics), but like to know which one(s) you’d recommend. Thanks for reading! Happy polishing! 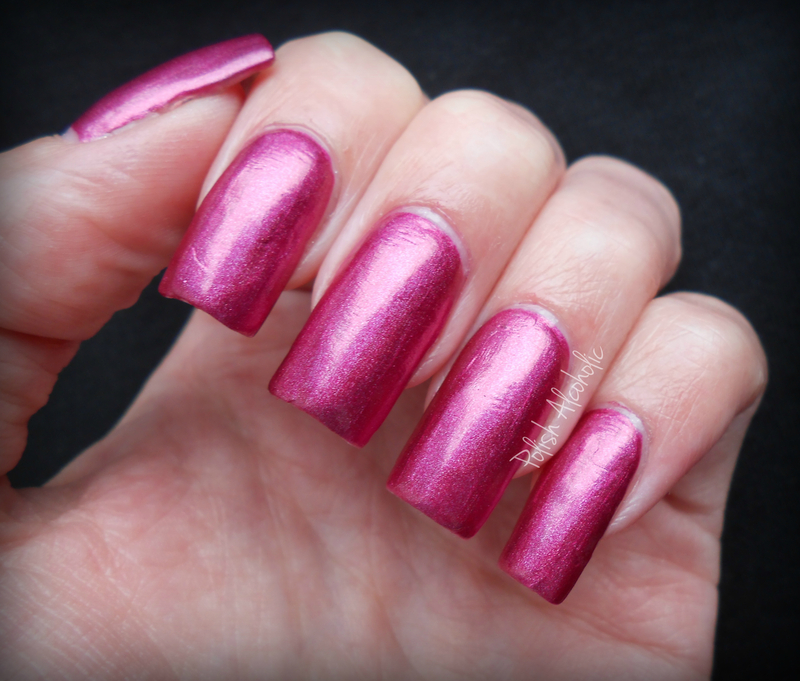 This entry was posted in China Glaze and tagged china glaze astro hot, china glaze hologram, china glaze hologram 2013, china glaze hologram collection, china glaze infra red, china glaze when stars collide, holographic nail polish by Polish Alcoholic. Bookmark the permalink. I love the 3-color art you did with these, but sadly I wasn’t very impressed with them. 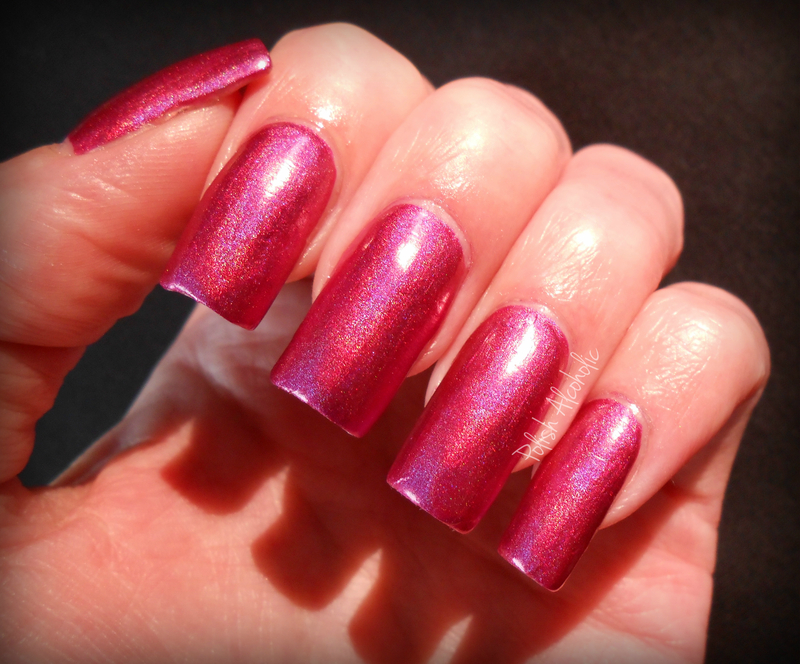 I don’t really like subtle holos, no matter how pretty they are. If I’m going to have a holo, I want some rainbows SCREAMING out of them!! It’s such a lovely collection! Great choices! I have only tried orly ridge filler. I like when stars collide… it’s a different kind of shade (for a holo)! Cool colors. And girl, your nails got long! wow!! Avon & Sally Hansen have pretty decent ridge fillers. These are pretty colors, and only one or two of them are unique enough that I know I don’t own something similar. China Glaze has awesome polish.